completely utilizes all its resonating surfaces. is the most power (Plate A). 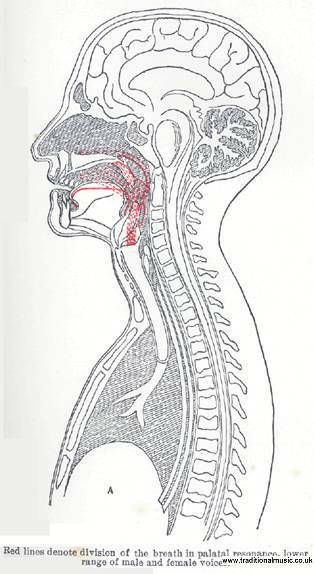 head cavities. This makes the head tone. 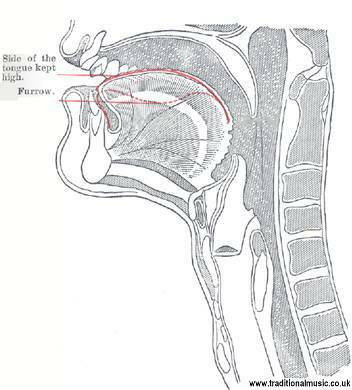 the resonance of the head cavities (Plate C). 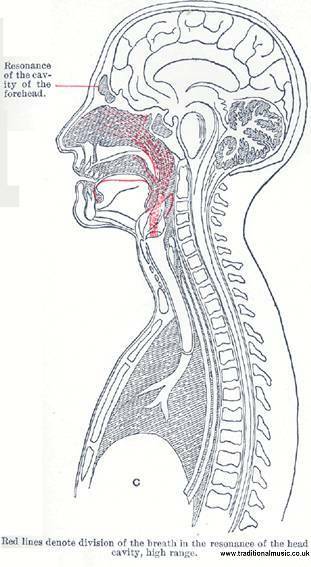 range of all classes of voices (Plate B). eye a picture of this divided stream of breath. 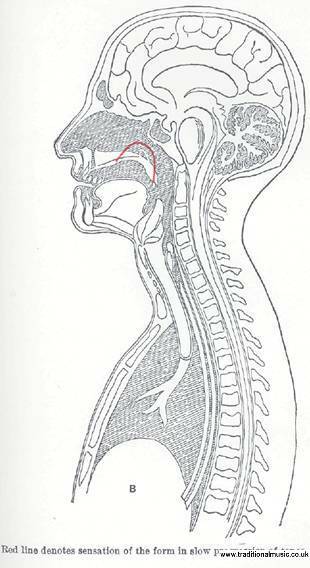 Red lines denote division of the breath in the middle range. highest tones of the tenor-falsetto or soprano. free to flow very strongly without hindrance. the more unchangeable must the form be. pillars of the fauces are raised more and more. of the pillars of the fauces. low as the roots of the teeth. the way of the tone. and thus is out of its way. tained without pressure of the throat muscles. ported by the throat muscles. 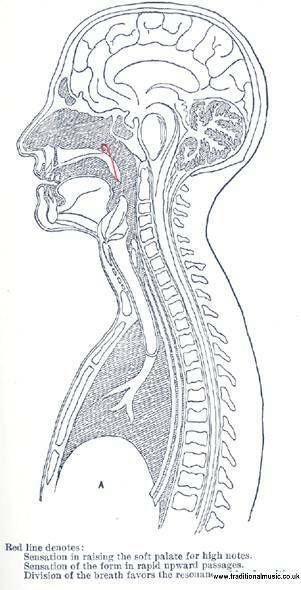 the sense of hearing and the breath pressure.